The New York Times blockbuster series MEG by Steve Alten continues with the 5th installment of the series, MEG 5: NIGHTSTALKERS (Tor hardcover, $25.99, June 14, 2016). MEG, currently in production at Warner Brothers with Jason Statham as the lead character Jonas Taylor, is set for an early 2018 worldwide release. into the fleet’s nets, while battling his own suicidal demons. Steve Alten weaves together threads of greed, grief, terror and near environmental collapse in this page-turning installment of the bestselling MEG series. 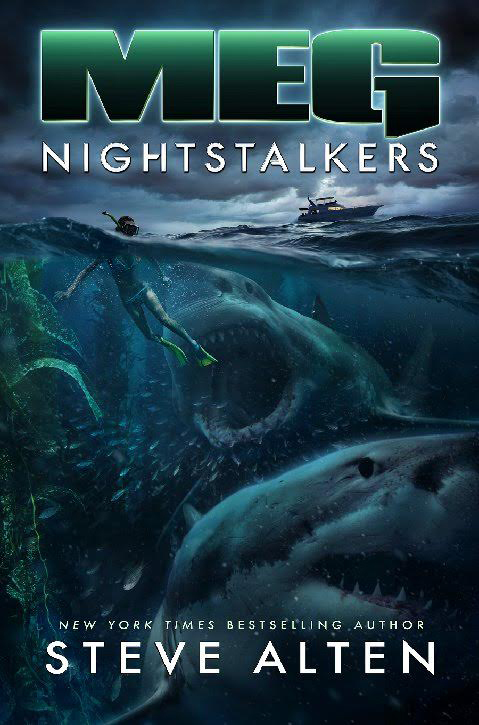 Culminating in a final showdown between the most dangerous predators ever to inhabit the planet, MEG 5: NIGHTSTALKERS will have you on the edge of your seat.